Shinzō Abe was re-elected prime minister by Japan’s parliament, following his victory at the polls earlier this month. Abe faces many challenges in trying to reignite an economy that has contracted for two straight quarters. There are talks that a new round of stimulus is being prepared by Abe’s cabinet and is expected to include monetary easing and structural reforms. China has stepped in to offer assistance to Russia in trying to support the Russian ruble. The currency has been weakening significantly as a result of the economic sanctions placed on Russia by the West, as well as the recent plunge in oil prices. The support from China will allow Russia to conserve its already depleted foreign exchange reserves as it defends its currency. Yields in the Treasury markets moved higher this week. The 10 year Treasury bond now yields 2.25% and the 5 year Treasury bond yields 1.76%. The spot price of WTI Crude Oil fell again this week, reaching a new 52 week low. Prices fell 3.17%, closing at $54.73 per barrel. 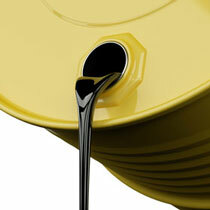 Year to date, Oil prices are down 40.00%. The spot price of Gold went unchanged this week and closed at $1,196.00 per ounce. Year to date, Gold prices are down 0.47%. Initial jobless claims fell from last week, coming in at 280,000 vs. consensus estimates of 290,000. The Labor Department noted no special factors affecting the report, although the holiday season is traditionally more volatile. The four week moving average for claims now stands at 290,000. The core PCE index, which the Federal Reserve uses as its preferred measure of inflation, was unchanged in November. This makes the rate over the past year equal to 1.41%, still well below the Fed’s 2% inflation target. According to the Society of Actuaries, in the year 2000 the average 65 year old American male had a life expectancy of 19.6 years and the average 65 year old American female had one of 21.4 years. Today, the average 65 year old male has a life expectancy of 21.6 years and the average 65 year old female has a life expectancy of 23.8 years. These are increases of 2.0 and 2.4 years and life expectancy is projected to increase even further in the future with technology and health care advances. *Portrait of Shinzō Abe, Prime Minister of Japan. Source: Obtained from Wikimedia Commons. Date: July 14, 2014. Author: Chuck Hagel. Image used in accord with Creative Commons Legal Code Attribution 2.0 (https://creativecommons.org/licenses/by/2.0/legalcode). 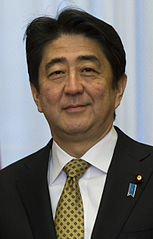 (See, http://commons.wikimedia.org/wiki/File:Shinzō_Abe_April_2014.jpg). Global equity markets surged following this month’s Federal Reserve meeting. The Fed’s statement gave a vote of confidence to the U.S. economy saying that the recovery remained on track. Additionally, Chairperson Janet Yellen gave comments that an interest rate increase was unlikely for at least the next two Fed meetings. She continued to preach patience in regards to this tightening step, emphasizing data over dates as to when the decision will be made. With inflation expectations continuing to track below the central bank’s 2% target, the first rate hike appears to have been pushed out to the 2nd half of 2015 at the earliest. In a surprising move, the Russian central bank announced it would raise the country’s key interest rate from 10.5% to 17% in an attempt to stem the decline in Russia’s currency, the Ruble. Russia’s economy has stalled as a result of economic sanctions imposed by the West and the recent plunge in oil, upon which their economy is extremely reliant. The situation in Russia doesn’t appear to be improving any time soon as President Obama announced that he intends on implementing a new round of economic sanctions on Russia targeted at its weapons and already battered energy sectors. Addressing the country in his annual address, Vladimir Putin predictably placed blame for Russia’s economic woes on the West. Putin also said that the country’s problems could last for the next two years, although that timeline could be cut down given the measures the Russian government and central bank are taking. President Obama has ordered the restoration of full diplomatic relations with Cuba, in addition to the opening of an embassy in Havana in the coming months. Travel restrictions to Cuba will be eased and the trade embargo with the country would be eventually lifted. Yields in the Treasury markets moved a bit higher this week. The 10 year Treasury bond now yields 2.16% and the 5 year Treasury bond yields 1.65%. The spot price of WTI Crude Oil fell again this week, reaching a new 52 week low. Prices fell 2.23%, closing at $56.52 per barrel. Year to date, Oil prices are down 38.53%. The spot price of Gold dropped this week, shedding 2.18% and closing at $1,195.95 per ounce. Year to date, Gold prices are down 0.47%. Initial jobless claims fell from last week, coming in at 289,000 vs. consensus estimates of 295,000. The Labor Department noted no special factors affecting the report, although the holiday season is traditionally more volatile. The four week moving average for claims now stands at 299,000. Housing starts declined 1.6% in November vs. expectations of a 3.1% gain. The details in the report were unfavorable as the less volatile single-family housing starts saw a 5.4% decline in November. When a Social Security committee chaired by Alan Greenspan implemented changes in 1983 that gradually increased the age at which retirees receive full Social Security benefits from age 65 to 67, only Americans that were 20 or more years from age 65 were impacted. Though the change had only saved the program $100 billion through 2012, it is expected that over the next 75 years the reforms will save Social Security $4.6 trillion. 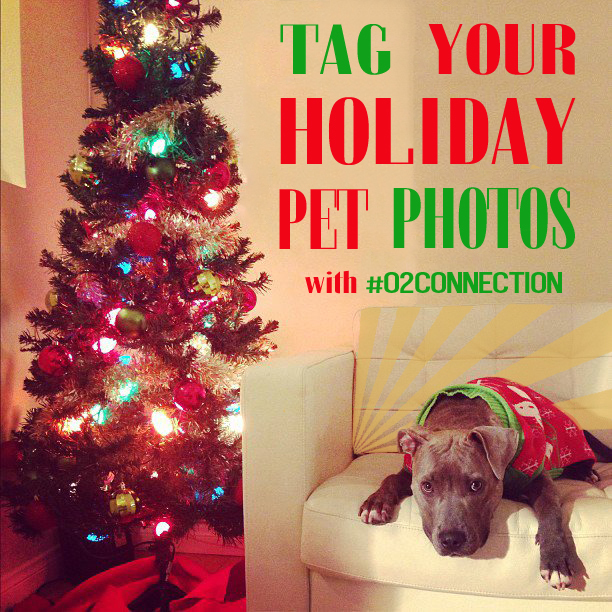 Old Second Bank: Tag your holiday pet photos! 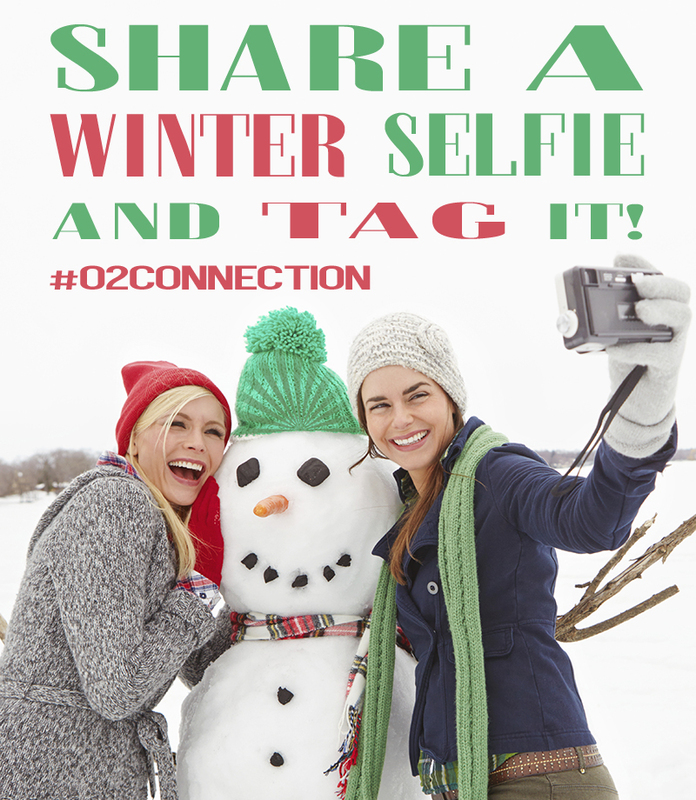 Connect with Old Second Bank by tagging your holiday dressed pet photos on Instagram, Twitter, or Facebook with #O2Connection. Greece reentered the headlines this week as the Greek government has moved forward a crucial presidential vote by two months, and will now be held on December 17th. If Prime Minister Anotnis Samaras fails to secure a majority vote, the parliament of Greece will be dissolved and new elections will be called. 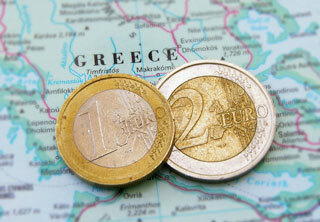 The surprise decision came after Euro Zone finance ministers had said they were in favor of granting Greece a two-month extension for its bailout program. Avoiding a government shutdown, the House of Representatives passed a $1.1 trillion federal spending bill that will fund every federal agency through September except the Department of Homeland Security. Passing by a vote of 219-206, the bill which included a rollback of some of the Dodd-Frank banking reforms, will now head to the Senate for approval. Yields in the Treasury markets moved lower this week amidst the weakness in the equity markets. The 10 year Treasury bond now yields 2.09% and the 5 year Treasury bond yields 1.52%. The spot price of WTI Crude Oil plunged again this week, reaching a new 52 week low. Prices fell 12.36%, closing at $57.55 per barrel. Year to date, Oil prices are down 37.45%. The spot price of Gold increased this week, gaining 2.76% and closing at $1,223.50 per ounce. Year to date, Gold prices are up 1.87%. Initial jobless claims fell from last week, coming in at 294,000 vs. consensus estimates of 297,000. The Labor Department noted no special factors affecting the report, although the holiday season is traditionally more volatile. The four week moving average for claims now stands at 299,000. Headline retail sales rose 0.7% in November vs. expectations of 0.4%. The positive report could have been aided by a colder November pushing forward apparel sales which were up 1.2% in the month. Lower gas prices may have also served to push retail sales up for the month. The price of a barrel of oil fell from $145.31 on 7/3/2008 to $30.28 on 12/23/2008, which represented a 79% drop over 173 days. The price of a barrel of oil has fallen from $107.48 on 6/20/2014 to a $57.55 close on 12/12/2014, representing a 46% drop over 175 days. 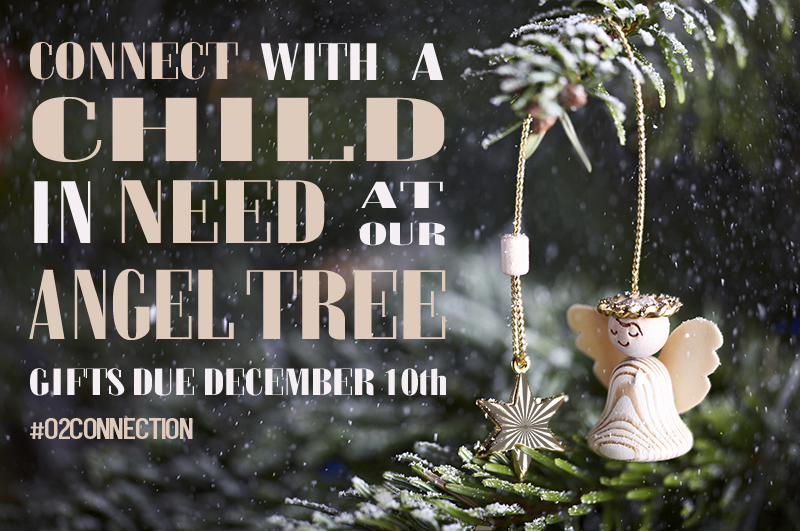 Get connected with a child in need by visiting our Angel Tree! Please help put a smile on a child’s face this holiday season by taking an Angel Tag from the tree, purchasing the gift listed on the tag, and returning it (unwrapped) with the tag attached. You can return the gift to the Personal Banking department. Items requested range from newborn to clothes to toys to books. You can also donate wrapping paper and/or gift bags. 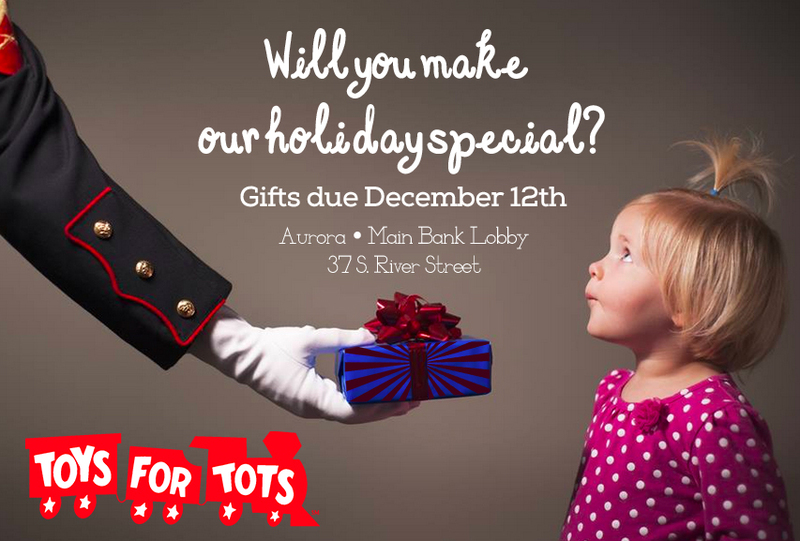 The tree is located on the counter behind the reception desk in the main lobby at the Main Old Second Bank, 37 S. River Street- Aurora. Tags are also available at our Redwood branch, 555 Redwood Drive- Aurora. All gifts are to be returned to the bank by December 10th, 2014. The oil cartel OPEC shook the oil markets as the group unexpectedly decided to keep its collective output target at 30 million barrels per day. The decision to maintain output in the face of plentiful global supply and already declining prices caused the price of oil to plunge by more than 10% on Friday. Whereas in the past, OPEC was relied upon to alter its production levels to maintain prices, the group seems to be rejecting the role of “swing producer”. The 12-member group, which pumps 40% of the world’s oil, will convene again next June in Vienna. The European Central Bank will be gauging whether it needs to start buying sovereign bonds to stimulate the Eurozone economies during the first quarter of next year. The comments made by ECB Vice President Vitor Constancio are the clearest indication yet to the exact timing of future QE in Europe. Equity markets continued to head higher in this holiday shortened week. The S&P 500 advanced 0.23% and closed at 2,068. Likewise, the Dow Jones moved up 0.14% and closed at 17,828. Year to date, the S&P is up 13.98% and the Dow Jones is up 9.89%. Yields in the Treasury markets traded down this week. The 10 year Treasury bond now yields 2.18% and the 5 year Treasury yields 1.49%. The spot price of WTI Crude Oil plunged this week following the decision by OPEC to continue with production at current levels. Prices fell 13.52%, closing at $66.16 per barrel. Year to date, Oil prices are down 28%. The spot price of Gold decreased this week, declining by 2.70% and closing at $1,169.05 per ounce. Year to date, Gold prices are down 2.70%. Initial jobless claims rose from last week, coming in at 313,000 vs. consensus estimates of 288,000. This is the highest level of claims since early September. The Labor Department noted no special factors affecting the report despite some poor weather conditions in parts of the country. The four week moving average for claims now stands at 294,000. The 3rd quarter GDP growth figure was revised up by 0.4% to 3.9%. This beat expectations that the revision would see a 0.2% decrease in the growth measure. Most of the positive surprise came from consumer spending which was stronger than initially estimated. According to the Mortgage Bankers Association, as of 12/31/2009, 1 out of every 7 mortgages was either delinquent or was in the foreclosure process. This rate has significantly improved to 1 out of every 12 mortgages as of 9/30/2014.